To visit the imprisoned is right up there in the corporal works of mercy, and what better time to do it than in the Christmas season, a time when shut-ins and prisoners can feel most abandoned? 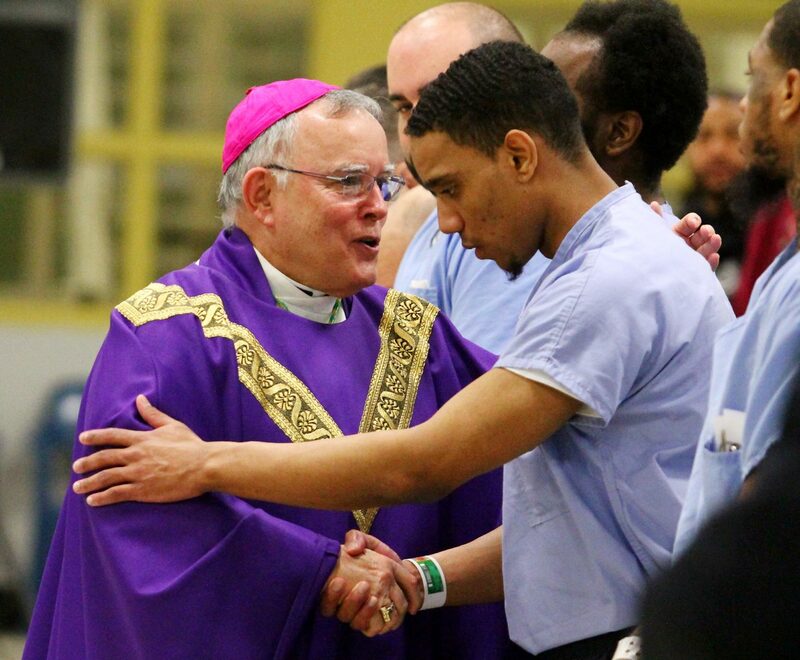 Archbishop Charles Chaput took time out from his busy schedule on Thursday, Dec. 15 to celebrate Mass at the Curran-Fromhold Correctional Facility, the largest unit of the Philadelphia prison complex along State Road in Northeast Philadelphia. 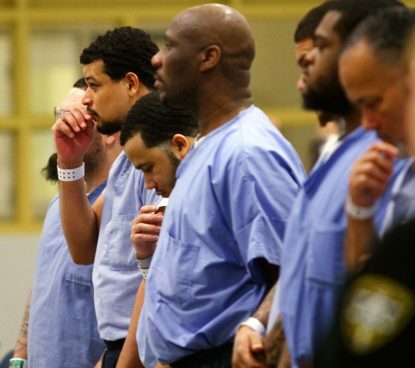 In addition to a representative group of prisoners in attendance were staff members including Prison Commissioner Blanche Carney and Curran-Fromhold Warden Gerald May, as well as volunteers who minister in the prison complex. It was not Archbishop Chaput’s first visit to the facility. 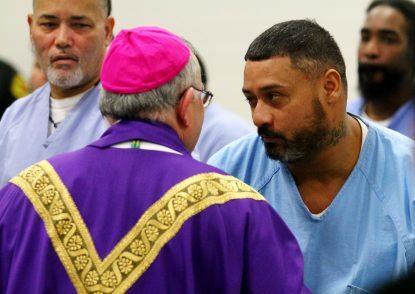 Previous visits included accompanying Pope Francis to the prison during his visit to Philadelphia 14 months ago. As a matter of fact, the chair from which the archbishop presided was the same chair that was lovingly restored by inmates and used by Pope Francis during his visit. During his homily, Archbishop Chaput nicely tied the Scriptures of the day into the occasion. During the first reading taken from Jeremiah, he explained it was written at the time when the Jewish people themselves were captives. “The Jews were taken as slaves, as prisoners to Babylon,” he said. His words were not lost on the assembly. On the other hand, David, another inmate, said this was the first time he had been to such a gathering, and he enjoyed it. Wilson went further, saying he had never before been to any Catholic service in his entire life. “It was special, the archbishop’s words were inspiring,” he said.